BONA Pharma has introduced the LF Actuator with Fixed Applicator into its product offering. 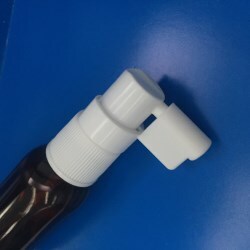 Perfect for Ear, Hair and Mouth Medicine Sprays, the LF Actuator with Fixed Applicator is composed of PP, PE, and stainless steel material, making the packaging compatible and safe for both food and pharmaceutical applications. The LF Actuator with Fixed Applicator fits with different neck sizes and closure types including: GL18, 18Din, 18/410, 18/415, 20/410, 24/410, 20mm snap on, and 20mm crimp on. The pump dispenses in precise dosages of 50mcl-220mcl per stroke. 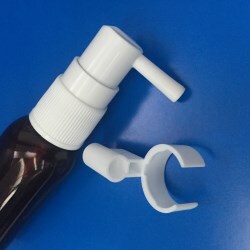 Furthermore, there is an anti-dust cap available to cover the sprayer to prevent the pump from being primed accidently during transit or whilst not in use. BONA Pharma's LF Actuator with Fixed Applicator can be made in a customized color and matched with bottles of different capacities. The packaging is produced in a class 100,000 clean room manufacturing facility that ensures product hygiene and safety. The standard specification allows it to be produced in existing capping production lines.